When you hear the word responsibility, you will not be shocked to think of words like care, safekeeping, custody and obligation. This should not really surprise you as being responsible requires a certain level of maturity across various different levels. Growing up as a boy, I was always bored by my elder sister’s refusal to want to play my boyish games with me and rather always boss me about. She was always the one telling me when to take a bath, or to always brush my hair, or to put the toilet seat down, or to clean up after myself and the list goes on and on. When you translate this or the lack of into the workplace, it has to manifest positively for it to be full appreciated. However as Rome was not built in a day, responsibility just like charity truly does begin at home. Allow me to build my case. When you are hired for a job, your supervisor/ manager aka Boss gives you a list of duties which we have now come to agree to also be known as responsibilities. He/ she will communicate with you that it is your job to ensure that the tasks at hand are done to a satisfactory manner. If you do not do the tasks within the stipulated time, it is only courteous to attempt to communicate with your supervisor aka Boss and give a further time as to when it or they will be done in totality. This is called being accountable for your responsibilities. If you are struggling with part of the task, it is also important to share with your supervisor the specifics of the stuck situation with areas that you feel the supervisor can be of assistance. This is being pro-active. Blaming others for results is not being accountable for your work. In Order to create that vibe which promotes accountability, a certain working environment needs to be cultivated. If you are reading this, you will want to argue, share or even agree with what I am postulating. Just consider three different environments with varying actors. Fully engaged professionals who go to great lengths to fulfil their responsibilities for the day/week. See a connection between what they do and the success of the company. Mixed group of staff who feel they are owed more than what they give and always have unmet grievances that always affect outputs and general productivity. A group of staff who are self-focused and do not feel connected to what the company does and how they help it achieve its objectives. Which is the place that most people would want to work? When employees are engaged, the outcome is obvious. Customer satisfaction improves, staff turnover reduces, and productivity and profitability increase. So how do you as a manager increase engagement and boost productivity and profitability? The answer is through employees taking personal responsibility for their work. Responsible employees are more engaged and productive. They willingly accept accountability for producing results and continually look for ways in which they can improve their performance. But you already know that because your best employees are the responsible ones. The challenge for most managers is figuring out how to get the rest of their employees to be accountable, too. Many business leaders do the exact opposite of what they need to do to get people to be responsible, productive employees—they attempt to hold them accountable. Have you noticed that it does not work? Instead of holding people accountable, there are a few simple steps you can take to transform your organization into a responsibility-based workplace. People cannot be held accountable; they can only choose to be accountable. 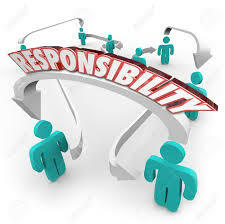 Accountability is the natural outcome of a person deciding to take responsibility for something. Self-directed people—those who see themselves as responsible for their behavior and performance—want to be held accountable. They want to have a sense of ownership in their job, to have some input into how things should be done and to have a say in how their performance will be measured. Employees who feel like they have no say will tend to react in an “other- directed” way. Other-directed people tend to be either compliant or rebellious—doing what they feel they have to do or doing the opposite of what you want them to do. Other-directed employees have switched off; they become disengaged and resist accountability. And they usually blame someone or something else when they don’t perform well. The natural outcome of using an authoritarian or control-based approach to enforcing accountability is exactly what you don’t want—self-directed people leave, and other-directed people stay. Instead, you need to hand over some of the control. However, many managers fear entrusting employees with the responsibility of defining their own success and determining how to reach it through their performance. As a result of this fear, managers attempt to hold people accountable by insisting on compliance with policies and procedures, establishing goals and performance standards for employees, or offering incentives in an attempt to motivate people to comply. The research does not support this fear; in fact, the opposite is true. Employees who are trusted and given more say over how they do their jobs are more engaged, more committed and more productive. They achieve more. People who know they are being trusted to be responsible do not want to let their manager down. The primary fear employees have about being held accountable is that there will be negative consequences if they don’t succeed, maybe even the loss of their job. It is safer for them to avoid risk and to do just what they are told and stay out of trouble. Employees who will not accept responsibility do not trust management enough to take the risk. Information is exchanged freely, feelings and opinions are openly discussed, and people do not harbour hidden agendas. Expectations are clear, disagreements are discussed and resolved, and individual performance is discussed and agreed on without the need for a formal process. Differences are valued, employees feel respected for their contribution, and they have input into how the organization can be more successful. People keep their commitments, strive for excellence in everything they do and can count on each other for support. Managers cannot get accountability without trusting employees to take ownership of their jobs and believing that they will do the right thing by the organization. 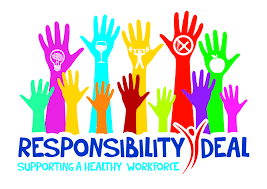 Employees will not choose to be accountable unless they trust management; they need to know that they will get the support they need to do their best and that mistakes will be treated as learning experiences rather than as opportunities for blame and punishment. Stop holding people accountable. Use these tools to let them choose to be accountable. Next week we shall see tips on how to improve your own personal accountability habits. Edmund is the Engagement Director at BLEGSCOPE®, and has 12+ years of management consultancy experience notably in MSMEs, FMCG companies and in the service industry.